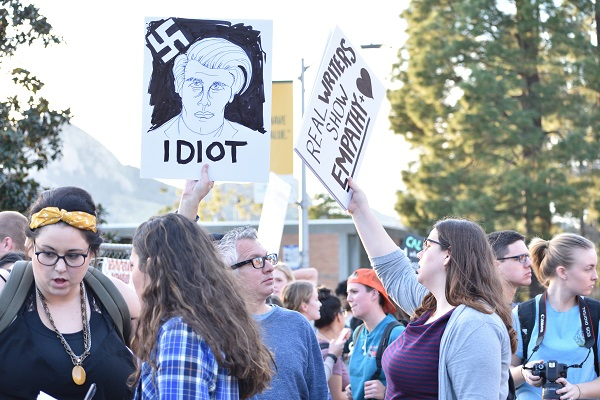 In advance of Milo Yiannopoulos’ speech on Tuesday, dozens of protesters gathered on campus near Spanos Theater. Some of the protesters were dressed in black and wearing masks other wore masks. I’m proud of the provocateurs in Berkeley who showed the entire world that this Nazi/Trump/Breitbart ideology will NOT be tolerated in California. “Proud”? Of rioters and law breakers? You’re a big help. You do know the NAZI’s were leftist-socialists, don’t you? By the way, it is “NAZI” not Nazi. It is an acronym. 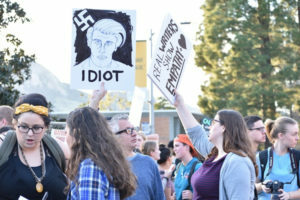 I am proud of our Cal Poly students and those others who attended the protest. Although I don’t agree with them, they showed restraint and class by demonstrating peacefully. 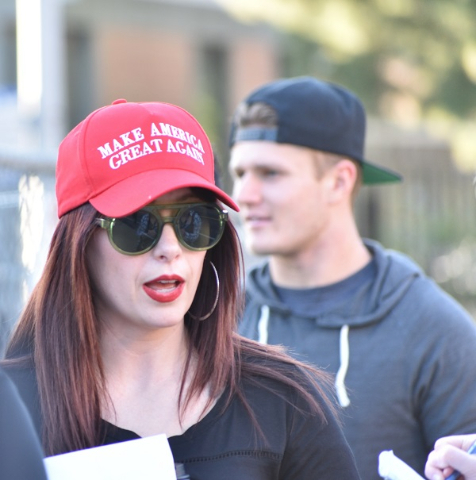 Unlike the morons at Berkeley, who by their very actions weaken the cause they are so committed to, our local folks caught my attention and I listen. Good luck and don’t quit. Milo seems like a pretty cool gay immigrant dude. What’s all the fuss?